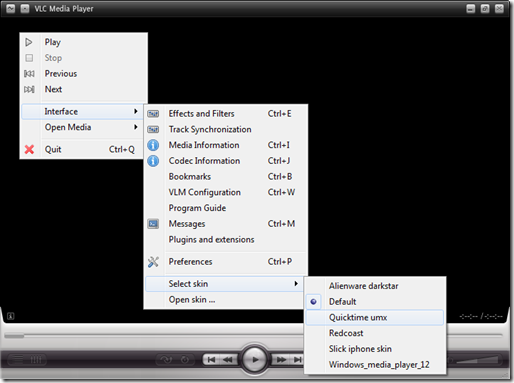 The First preference we generally give to VLC media player when it comes to playing movies or videos. I personally use VLC media player. 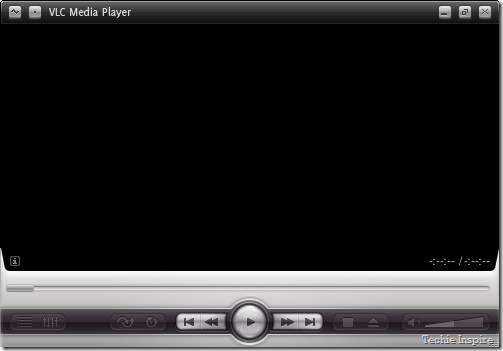 It plays all media formats on your system, the only issue I had with VLC is its look. 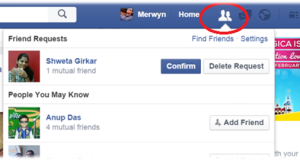 The default native look shows some basic buttons on the player and doesn’t look cool and professional. 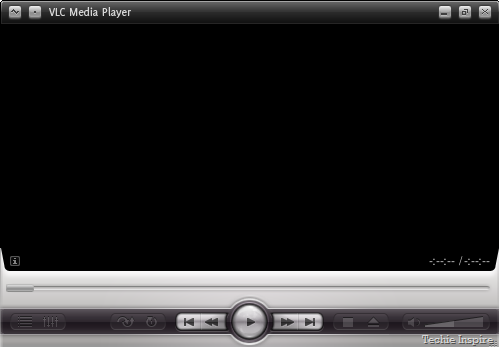 Let see how we can get rid from this old native look of VLC media players. 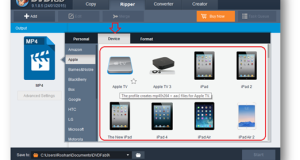 Note: path can vary, unless you change the name of the VLC folder name. 3.) 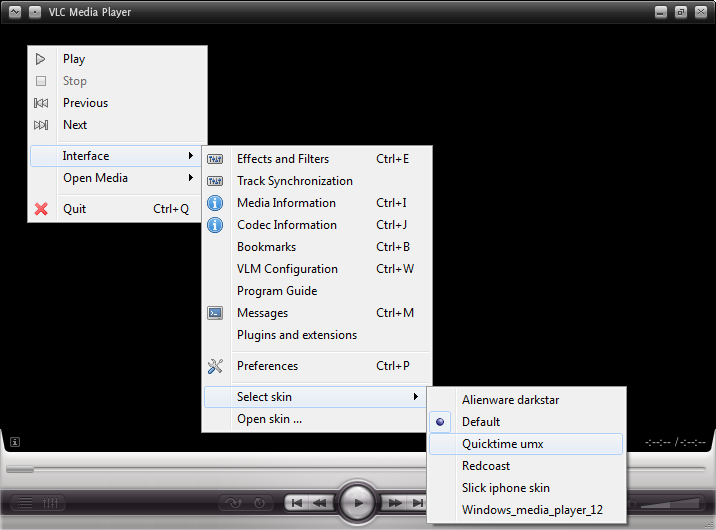 Now Open VLC media player, Go to Tools option on the menu bar =>> Preference. In Preference Window, Select “Use Custom Skin” and Click on Save. You will need to restart VLC for the changes to take effect. 4.) Finally, we are seeing some different skin on VLC. This skin is not the same skin which you have downloaded from the website. It’s showing the default skin which comes with VLC. 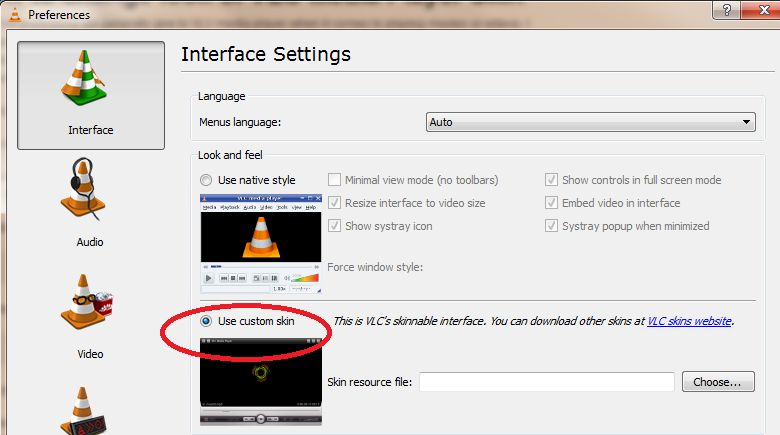 Right Click on VLC player, Go to Interface >> Select Skin and choose skin which you would like to use, you will see all the downloaded skins show up on the list. 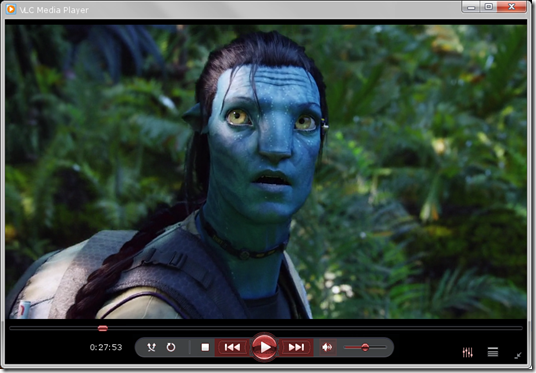 Now enjoy watching movie on VLC with new Skin. Note: We observed some issue with VLC using few skins. However, most of the skins are working well and found no issue. I personally found “eDark Vlc” a good skin to use. 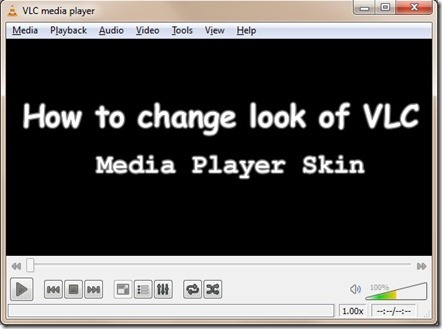 This was a guide to change VLC media player skin. 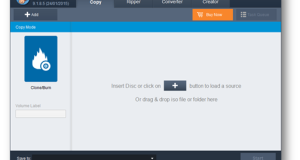 You can create your own skin using VLC skin editor. I was looking everwyehre and this popped up like nothing! Wonderful line up. We’ll be linking to this fantastic write-up on our website. Sustain the great composing. Hello, just required you to know I he added your website to my Google bookmarks due to your layout. But seriously, I think your web internet site has 1 in the freshest theme I? ?ve came across. It extremely helps make studying your web site significantly easier. We do not agree with your last point. Feed on a lot of to try to get yourself experience superior? Interesting note about those media application Free VLC Player Download is that it is really quick! I’m extremely inspired with your writing skills as smartly as with the format for your blog. Is this a paid topic or did you modify it your self? Anyway keep up the excellent high quality writing, it’s uncommon to look a great weblog like this one today. 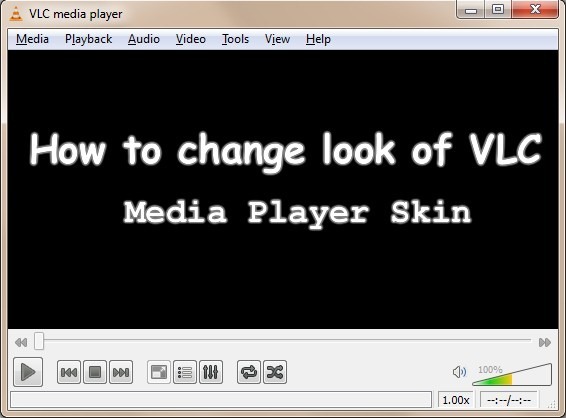 I agree with your How to change look of VLC Media Player Skin, good post. you’re truly a good webmaster. The website loading speed is amazing. It kind of feels that you are doing any distinctive trick. Also, The contents are masterpiece. you have done a great job on this topic! Hi there, I discovered your website by the use of Google at the same time as looking for a related matter, your website got here up, it seems great. I’ve bookmarked it in my google bookmarks. An impressive share, I just given this onto a colleague who was doing a bit analysis on this. And he actually purchased me breakfast as a result of I discovered it for him.. smile. So let me reword that: Thnx for the treat! However yeah Thnkx for spending the time to discuss this, I feel strongly about it and love reading more on this topic. If attainable, as you turn out to be expertise, would you thoughts updating your blog with more particulars? It is extremely useful for me. Big thumb up for this blog post!